Alex Wong/GettyDeputy FBI director Andrew McCabe. The FBI’s top lawyer, James Baker, was abruptly reassigned within the bureau last week. The sudden reassignment of the FBI’s top lawyer, James Baker, last week was not necessarily unexpected. The timing of Baker’s reassignment, however – and a controversial Politico piece published on Friday – has led some former Justice Department and FBI officials to wonder whether it was, at least partially, a political decision made under mounting pressure from President Donald Trump and his allies. “I have no problem with the idea that Wray should pick his own team over time, including his own general counsel,” said Benjamin Wittes, an expert in national security law and senior fellow at the Brookings Institution who has known Baker for years. Baker is a close friend and longtime associate of Comey, who was fired by Trump two months after revealing publicly that the FBI was investigating whether Trump’s campaign colluded with Moscow during the 2016 election. 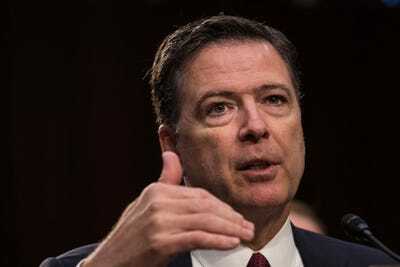 Meanwhile, certain factions of the GOP still resent Comey for closing the investigation into former Secretary of State Hillary Clinton’s use of a private email server in July 2016 without recommending criminal charges. The Department of Justice’s Inspector General is now investigating the FBI’s handling of that investigation. Deputy FBI director Andrew McCabe was also involved in the Clinton email probe. 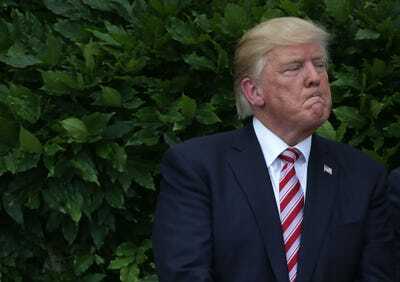 Trump attacked McCabe on Saturday over a $US500,000 political contribution that was made to McCabe’s wife in 2015 by a political organisation of Virginia Gov. Terry McAuliffe, who is a longtime friend of the Clintons. The contributions did not come from the Clintons themselves, however, and McCabe did not become the FBI’s deputy director until February 1, 2016, three months after his wife lost her campaign for one of Virginia’s 40 senate seats. McCabe took on an oversight role in the Clinton email probe for the first time “months after the completion” of his wife’s campaign, the FBI told the Wall Street Journal in a statement last year. Trump also tweeted on Saturday about Baker’s reassignment and,on Sunday morning, took further shots at McCabe, who is expected to retire early next year. Former CIA Director John Brennan tweeted in response that “Andy McCabe & Jim Baker epitomize integrity, competence, and respect for rule of law. Not surprised @realdonaldtrump fears them, along with the rest of FBI.” Brennan added that he had donated to the FBI Agents Association, and encouraged others to do the same. 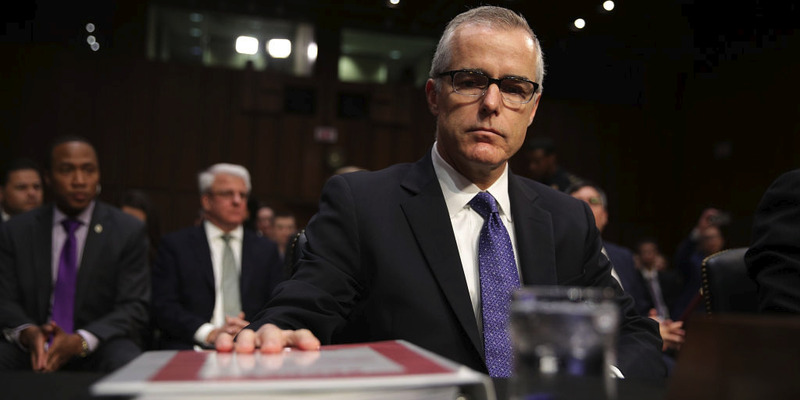 Frank Montoya, Jr., a former senior FBI official who worked closely with McCabe before retiring in 2016, said on Saturday – before news broke that McCabe planned to leave the bureau – that he suspected McCabe would retire as soon as he was eligible. The DOJ ignited further controversy earlier this month when it chose to release private text messages, obtained as part of the inspector general’s investigation into how the bureau handled the Clinton email probe. Those texts, which contained messages that were critical of Trump, were exchanged between two FBI employees during the election. The employees, Peter Strzok and Lisa Page, were part of Mueller’s team before he ousted them over the summer, and Trump was far from the only politician they mocked on either side of the aisle. But the text messages prompted Trump’s allies in Congress and the media to push theories that a swarm of anti-Trump FBI employees are working to take down the White House. David Kris, a former Assistant Attorney General for the DOJ’s National Security Division, echoed that sentiment. Gen. Michael Hayden, the former head of both the CIA and the National Security Agency, tweeted on Friday that “Jim was/is a wonderful PUBLIC servant.” Former acting CIA Director John McLaughlin agreed. Montoya characterised Baker as a highly-competent lawyer who was “well-liked on the ‘seventh floor'” – the floor at FBI headquarters that is occupied by the Director and his senior aides. “I credit Baker with advising Comey to do what was right by the Constitution and the nation, politics be damned,” Montoya said, referring to the controversy over Comey’s handling of the Clinton email probe. There is no publicly available evidence that Baker leaked sensitive information while serving as the FBI’s general counsel. But Montoya wondered whether it would be a scandal if Baker had spoken with Corn at all – a feeling also expressed by Wittes, who noted that Baker frequented think tank events where journalists were usually present. Steele, the former MI6 officer who compiled the dossier, had worked with the FBI’s “Eurasian Organised Crime” squad in the past on Russia-related investigations. Alarmed by what he’d uncovered, Steele gave his first two reports to an FBI agent in Rome in August 2016, according to Vanity Fair.